The Washington Post on May 20, 2011 published a great article on the travails of opera singers regarding their vocal cords and the stresses placed on them (the singers and their vocal cords). 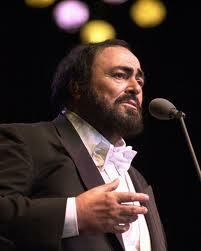 The opera singer (as well as any other professional singer) are the Olympic athletes of the voice. As such, peak performance is mandatory in order to sustain a successful career. Just as an Olympic sprinter measures their success in milliseconds... the professional singer is judged by the most minute inflections, variances, irregularities of their voice. Never mind the back-biting and gossip. 99.9% is not good enough in this cut-throat world when anything less than 100% perfection is considered failure. As such, the demands placed on the vocal cords are tremendous and rather than pulled hamstrings of a world-class sprinter, vocal cord swelling let alone nodules or muscle tension dysphonia can cut a career short. Push the voice too hard... and they can get damaged, especially when vocal technique gets sacrificed to perform pieces beyond appropriate range (and even ability). Even professional opera singers have vocal instructors and coaches... a point I regularly make with amateur singers with injured vocal cords when they argue against the necessity of voice therapy and singing lessons ("I already know how to sing!"). Furthermore, celebrity singers are under tremendous pressure given high expectations of fans and financial considerations if a concert gets cancelled. Thankfully, most have understudies who can replace a singer's role, but no such backup is present in the pop, rock & roll world. The demanding schedule of concerts also does not help and may not allow sufficient rest period between events. In any case, read the Washington Post story here. Near the end of the story, it is stated that Giuseppe Filanoti had thyroid surgery. Although this can affect the voice, it is NOT vocal cord surgery as reported. Hi, have just come across this blog. Wish I'd found it last week! I have started a blog accounting my recovery as an opera singer post vocal cord surgery. You can find it at http://onecordtoofar.blogspot.co.uk/ if you're interested!